We offer in-service education to school board members through workshops and seminars. Covering a wide range of topics, the workshops are designed to assist board members and administrators in more effectively carrying out their responsibilities. We hold half-day seminars periodically throughout the state and conduct customized workshops for individual boards upon request. Contact CABE staff: Bob Rader , Nick Caruso & Lisa Steimer for more information on Board Member Training. 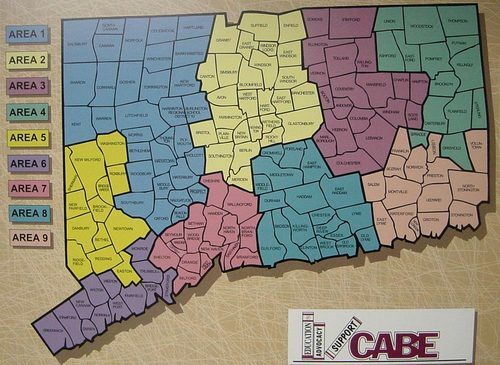 Contact CABE Staff: Nick Caruso or Robert Rader for more information on Field Services. We are committed to communicating our positions to the membership and to the public at large. Providing board members with in-depth, timely knowledge through concise periodicals, videos and an ever-expanding repertoire of research reports give you the tools you need to do the best job for your school district. Contact CABE staff: Lisa Steimer for more information on Publications.